Power to recall in future Amaravti? VIJAYAWADA: Will capital city Amaravati will be a government unto its own, with the electors having the unique power to recall elected representatives and even government staff. This, and several other unique aspects of the capital region, has been revealed in an “expert pre-read (document) on governance matters” prepared by the AP Capital Region Development Authority (CRDA). The document was circulated at the two-day Deep Dive Workshop on Amaravati development, organised by the CRDA. “The elected representatives and staff of the metropolitan government shall be answerable to electors for performance and delivery, failing which there will be a provision of recall,” the document reads. “Ward sabhas held every six months with the electors under the Constitution will decide on the continuity of the elected representatives and the key staff,” the document adds.The report further adds that there won’t be an elected body to govern the capital to begin with as the AP government proposes to constitute the Amaravati City Council as a nominated body in the period “when the city gets populated”. 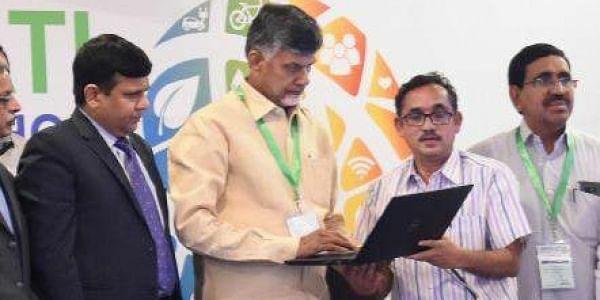 An elected council will come into place once the Amaravati city area acquires a “critical population mass”, it says.“There will be a gradual transition to the Unified Metropolitan Local Government which will cover the whole capital region. It will have certain powers of taxation and a higer share of taxes collected by the state and Centre,” the documents states.The report mentions that the urban areas of Amaravati city, Vijayawada city, Guntur will be integrated into this single metropolitan government comprising nine administrative zones.The capital region spread over 8,603 sq km.